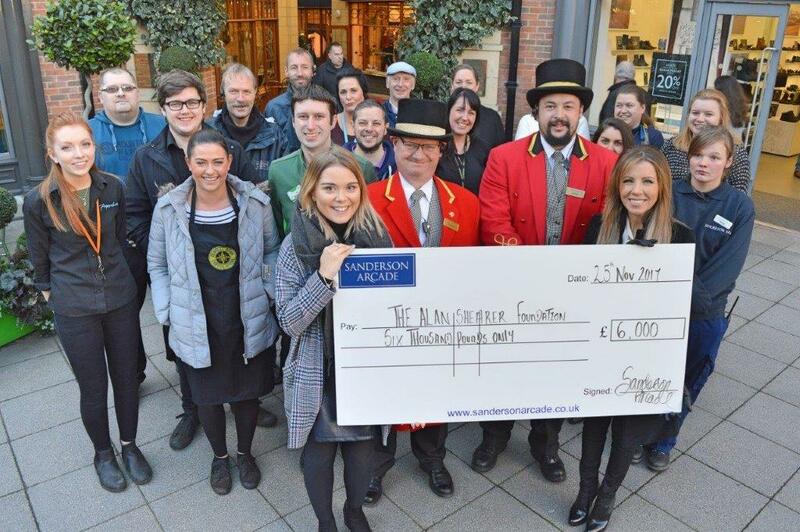 Sanderson Arcade has announced the new adopted charity for 2018 / 2019 will be Cleaswell Hill School. Cleaswell Hill is a day community Special School for 174 children with an age range of 2-19. Some pupils have additional physical difficulties, medical or emotional needs, and others are identified as being within the autistic spectrum. We will be updating the website on our fundraising activities throughout the year. The Arcade is attempting to raising over £5,000 in order to purchase a canopy and outdoor swing for the school. Many of the pupils would benefit from this type of equipment which can help develop play skills, motor skills, relaxation and improve pupils state of mind. We are looking at a variety of equipment depending on the amount of funds raised. 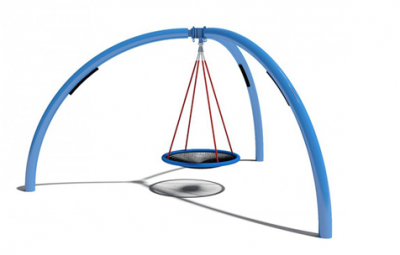 Please see below an image of the type of swing we are looking into buying for the school. Keep an eye out on our social media for our fundraising events! During 2017 the Arcade raised funds to help support the Alan Shearer Activity Centre which is a specialist recreational, sensory and social centre for disabled people of all ages and caters to a wide spectrum of need – the Activity Centre is owned and managed by North East charity St Cuthberts Care and supported through The Alan Shearer Foundation. At Sanderson Arcade we are committed to working in partnership with the wider community. We are active members of the Morpeth and District Chamber of Trade and support many local events including Morpeth in Bloom, the town's annual Fair Day and the successful annual Food Festival as well as working with stakeholders to help promote the beautiful market town in which we work. The Arcade is a regular winner of Northumbria In Bloom and in 2016 we launched the Heart of Morpeth Awards working with the Town Team and the Morpeth and District Chamber of Trade. We are also an active partner in the town centre markets initiative which was launched in October 2013 providing new anchor points, stalls and branding for the town's weekly market and monthly Farmers' Market. Since the Arcade opened in November 2009 we have also helped to raise more than £60,000 to date to help local charities through activities and events at the centre.